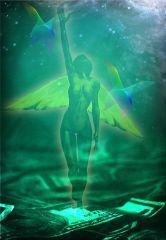 The Blessings of the Prosperity Angels attunement connects you to the vibration of Prosperity and to the Angels of Prosperity. The Angels of Prosperity will send you great Blessings of Prosperity and Abundance in the form of money each time you call on them for help and assistance. They are very happy to help you and want you to have all that you need in life and more. Call on them and accept their Blessings with gratitude.